I’ve been working on a repetitive project where I participate in a team that visits our manufacturing plants for a week, and provide improvement recommendations. This has been a fantastic opportunity for me to learn our manufacturing processes, but it makes for a very long week. Traveling to these sites, it is neat to learn about the area our plant is located. 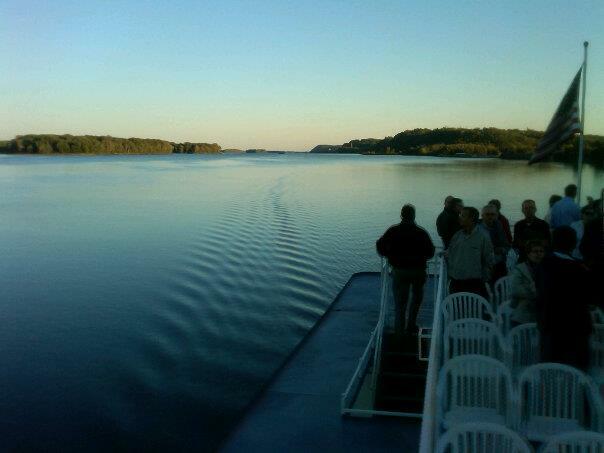 The latest trip was during the week of September 17th to Hannibal, Missouri. 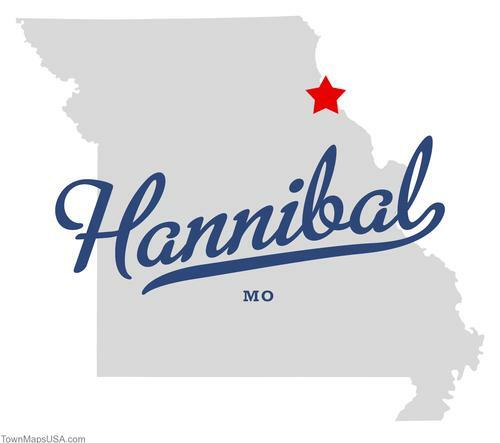 Hannibal is on the Illinois border about 2 hours north of St. Louis. Frankly, it’s in a remote area. However, Hannibal has the distinct claim to fame, as being the boyhood home of Samuel Clemens, who is better known as Mark Twain. 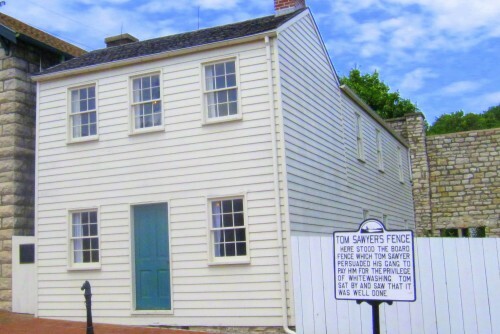 His boyhood home is preserved and it’s in a small downtown area along the Mississippi River. Growing up here, he got his inspirations for the Tom Sawyer and Huck Finn stories, and life growing up on the Mississippi. There’s a small museum dedicated to all his works, and you visit small shops around the area. I recommend the huckleberry ice cream at the Mark Twain Ice Cream Parlor. One evening during our weeklong visits, our entire team and site leadership likes to have a group dinner. 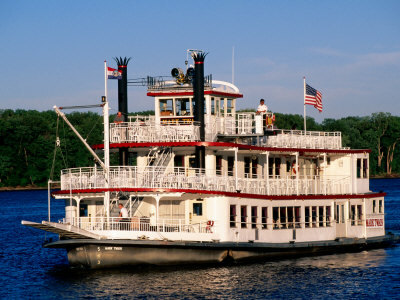 Our location one evening was aboard the Mark Twain Riverboat for a dinner cruise on the Mississippi. The River is amazing! It was so peaceful, and I could imagine rafting down the river as a boy. The night sky was so clear, and I saw so many stars (too bright in NJ to see well). So, if your travels ever find you in north-east Missouri or west-central Illinois, stop on over in Hannibal to see a small slice of Americana. Who knows, you may just find me in coveralls and a straw hat floating down the Mighty Mississippi. Next: Next post: We Have an Announcement – Germany, Here We Come! !